The school board in Fairfax County, Va., overwhelmingly passed a measure last week concerning the district’s sexual education curriculum. WTTG reported last Thursday that the board voted 10-2 to keep part of the Family Life Education (FLE) curriculum for K-10 students. This means students could learn about gender identity and sexual orientation in the seventh grade. Only members Patricia S. Reed and Elizabeth Schultz voted no. 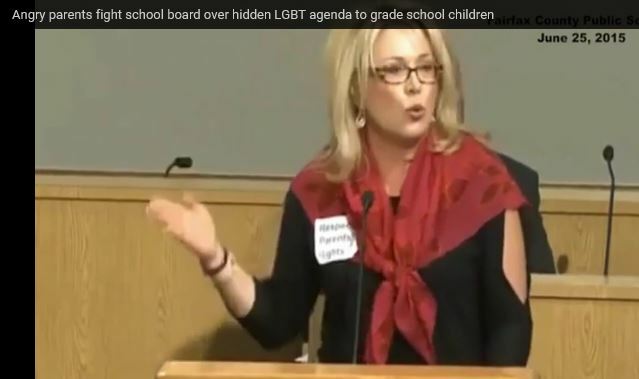 Children molested by their adopted homosexual “parent” = Media Blackout! “Audacity the movie” by Ray Comfort teaches works based salvation!